Jamie Carragher was asked who he would choose to be without for the rest of The Run In – Sadio Mane or Mohamed Salah. But who did he chose? Jamie Carragher assesses the importance of Sadio Mane, comparing him to Liverpool legend John Barnes and reveals who he would rather lose for The Run In – Mane or Mohamed Salah. Mane has inspired Liverpool in their race for the Premier League title this season, scoring 18 goals – the second highest in the league behind Sergio Aguero and Salah – including the opener against Chelsea on Sunday. 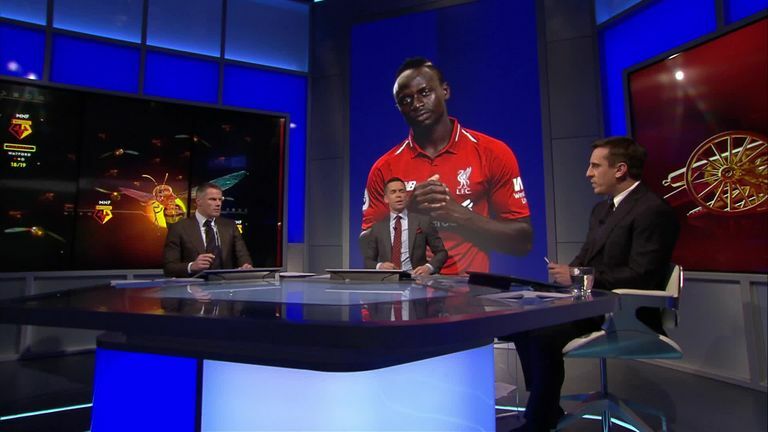 He was a hot topic on Monday Night Football, with former Liverpool defender Carragher looking at the importance of Mane’s goals and his impressive form.